Let yourself and your love get swept away in a city known as the American Riviera. With weather known to be like the Mediterranean, you don’t have to leave the country to feel like you have. The area has many parks to stroll and museums to visit as well as the ocean to see. With all its natural beauty, Santa Barbara, CA is a great city for a romantic getaway. 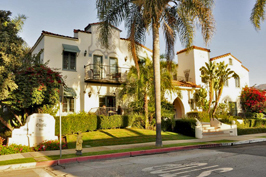 “Located in the popular West Beach neighborhood of Santa Barbara, the Eagle Inn is a comfortable boutique bed and breakfast hotel by the water.” Soak in the atmosphere and enjoy your romantic retreat near the water. A stay at this inn during your romantic getaway in Santa Barbara, CA is sure to be unforgettable. Santa Barbara is a coastal city that has many historic sights to see as well as many typical tourist attractions. With so much to see you can imagine that there are many ways to see it. I definitely recommend, however taking a whale watching tour while visiting the city with your love. If your tastes run more to land than sea, then there is ample opportunity in the area to see the sights by horseback and visit a few of the local wineries as well. Another fine and very romantic way to see the city is to take a trolley tour of the area. 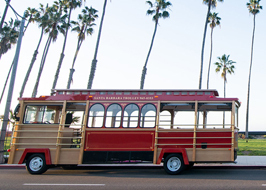 Santa Barbara is a tourist town that promotes itself as the American Riviera. As such there are a lot of things for a visitor to do and see in Santa Barbara. The City is home to many parks and also has a few museums of note, a botanical garden just outside the city as well as a zoo. A few of the noteable museums to visit when exploring the city are the Santa Barbara Museum of Art, the Museum of Contemporary Art Santa Barbara, and the Santa Barbara Historical Museum. 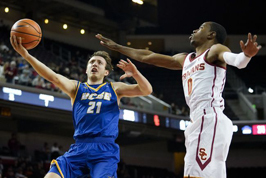 While Santa Barbara, CA is not home to any professional sports team, it is home to the UC Santa Barbara Gauchos. The Gauchos are the popular home team to root for and they have a large fan base. The college has many sports teams from soccer to basketball. Take your sweetheart out to see a game and cheer for the home team as well.